Hamilton’s food and drink scene is on a roll with no signs of slowing down. Around 50 new restaurants, breweries and cafés have recently opened their doors to hungry diners (or are just about to). Here’s your guide to just some of the delicious new hotspots I’m excited to welcome to the city. And be sure to visit Tourism Hamilton’s full restaurant listings for many more options. 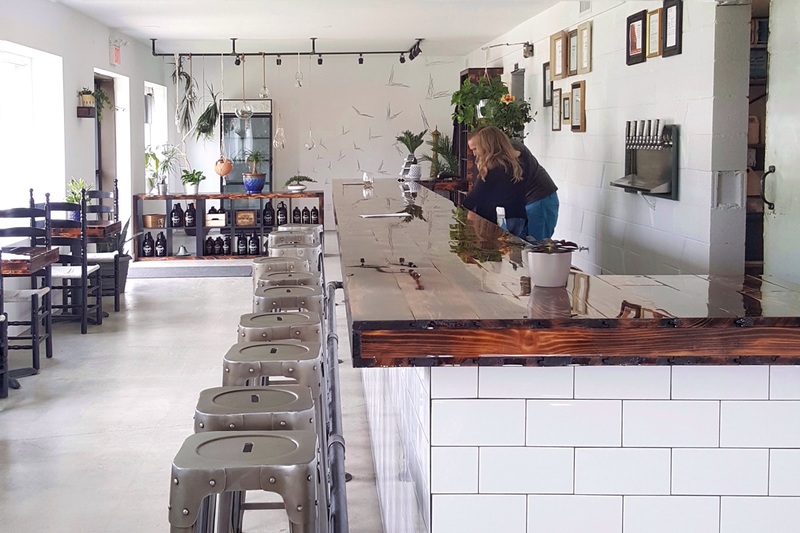 This brand new small batch brewery near McMaster University in the city’s west end was opened by Joe and Lindsey Mrav. It all started when Joe fell in love with home-brewing a couple of years ago which ignited their passion to open a brewery. Lindsey is proud of all six beers they have are on tap but she’s personally most excited about Pineapple Rye Pale Ale, based on Joe’s home-brewing recipe. There’s no food menu but follow their social media accounts to find out when there will be a food truck at the brewery. 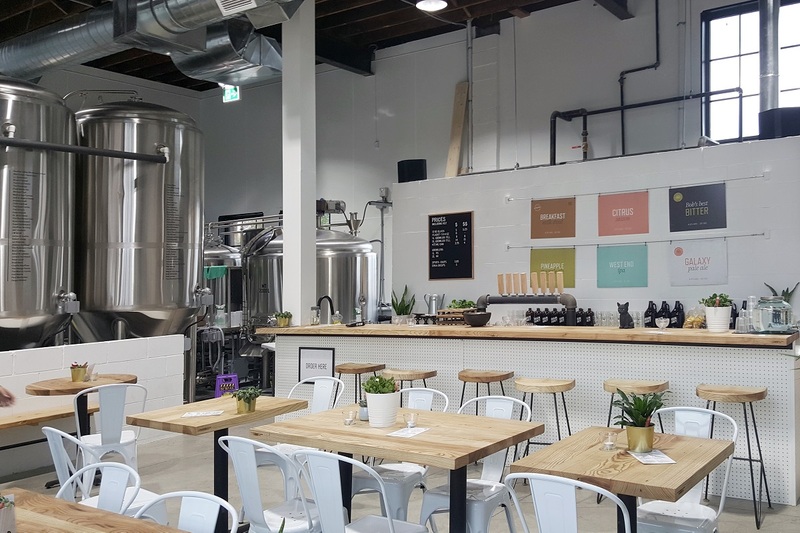 Only seconds away from Grain & Grit, you’ll find this beautiful new micro-brewery in the Ainsley Wood neighbourhood. Three experienced brewers, Dan Ryan, Ram McAllister and Brent Milcz, know how to bring customers back for more with their ten limited release beers on tap at an amazing price. Need proof? 12 ounces of Grisette, their easy drinking Franco-Belgian style, can be yours for $4.75. Enjoy their deliciously crafted beer with fresh pretzels from Cake & Loaf or bring your own food – a great chance to show off your charcuterie-building skills. Tej Sandhu, Jesse Vallins and Aaron Spinney opened Hamilton’s first brew pub with a patio in the heart of downtown on James Street North. They currently have nine beers on tap and carry a few guest tap, cider and wine options. If you like sour saison, try their Real Real. 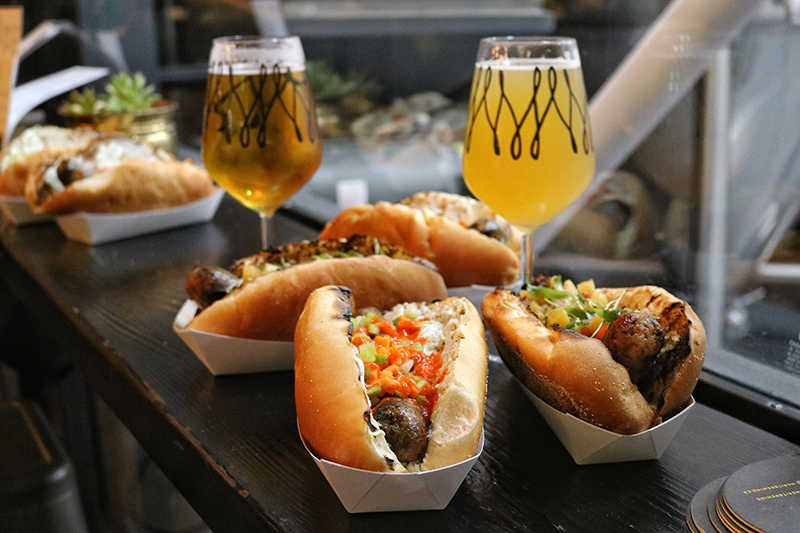 Their food menu is as extensive as their beer selection, focusing on house made sausages and perfect bar snacks like fried pepperoni. Sausage flavours range from classic Cheddar Smokie to Jerk Chicken. And if you can’t choose just one, opt for a platter, served with incredible sides and condiments – perfect for sharing. 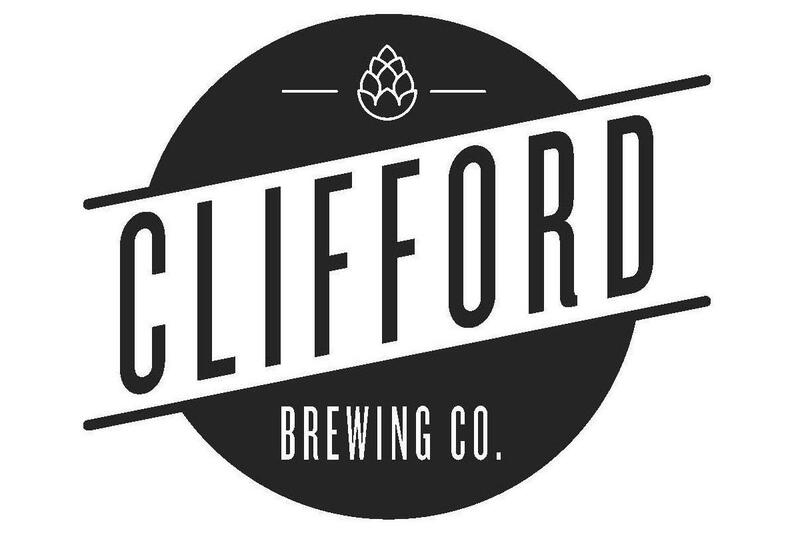 Starting off as an award winning homebrewer, Brad Clifford launched The Clifford Brewing Company in Hamilton in 2015. They are famously known for their Clifford Porter. The brewery will be located on Nash Road North in East Hamilton and is expected to open its taproom and retail store in winter of 2017. Owners Jeff and Tania were inspired by their time on the road to open up a new motorcycle lifestyle shop on Barton Street in downtown Hamilton. 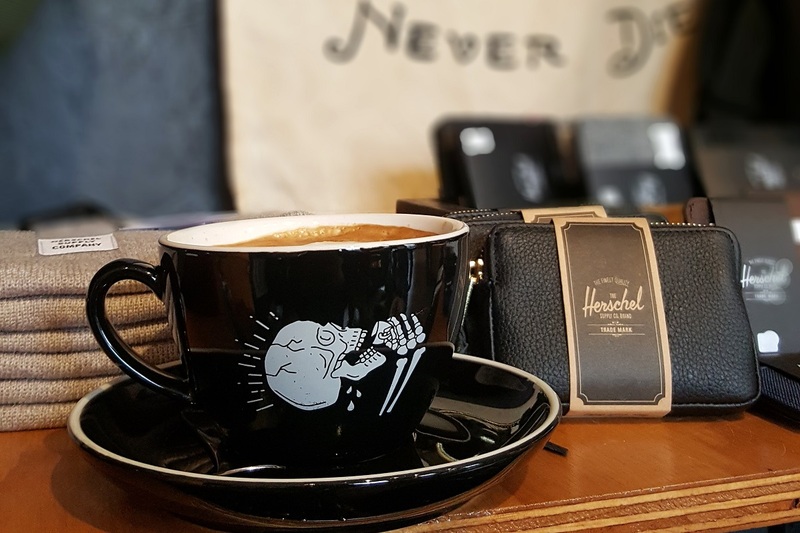 Steeltown Garage offers clothing, accessories and a place to casually hang out over high quality coffee. Every other Thursday (weather permitting), they host a Bike Night where motorcyclists from Hamilton and out of town ride in to socialize. But don’t be discouraged if you don’t have a motorcycle. 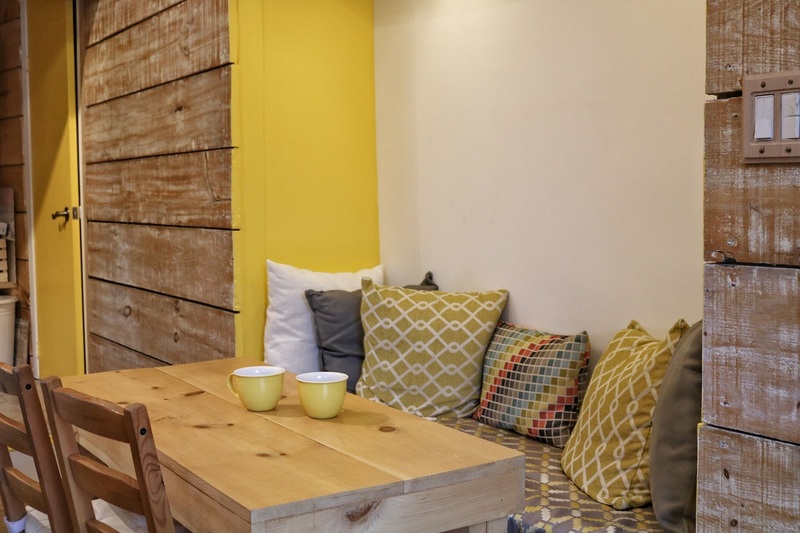 They’ve created a space for anyone who would like to grab a good cup of coffee and chat. Try their secret menu item #fatlatte if you like cream in your coffee. 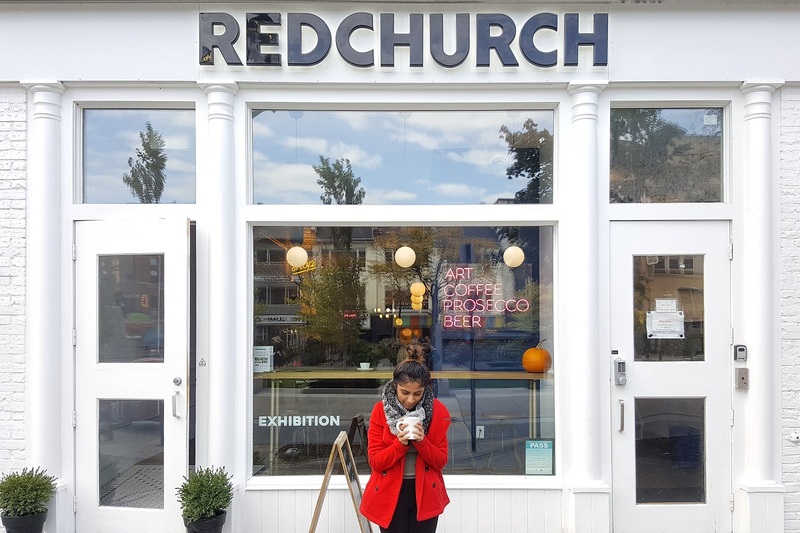 If you are looking to find an adorable instagrammable cafe to enjoy coffee or to get some work done, you won’t have any problem finding it in Hamilton. New cute addition in town is The Nook Cafe on Bold street. This cozy spot is environmentally friendly with a goal to be 100% waste free and to provide delicious coffee and treats. I know I will be frequenting this place and fight over for their comfy little nook with cushions. You can find this cute cafe and art gallery in one of the oldest buildings in Hamilton, Victoria Hall across from iconic Gore park. Their varied menu includes coffee based drinks, alcoholic beverages like prosecco and cocktails, and breakfast and lunch options. You can grab a beverage and either sit at one of the tables in the cafe or you can walk around the gallery space and check out their rotating exhibition featuring local and international contemporary artists. This Corktown cafe, what used to be Pinecone, got a brand-spanking new look with different owners in early June. What makes them stand out is their specialty lattes. 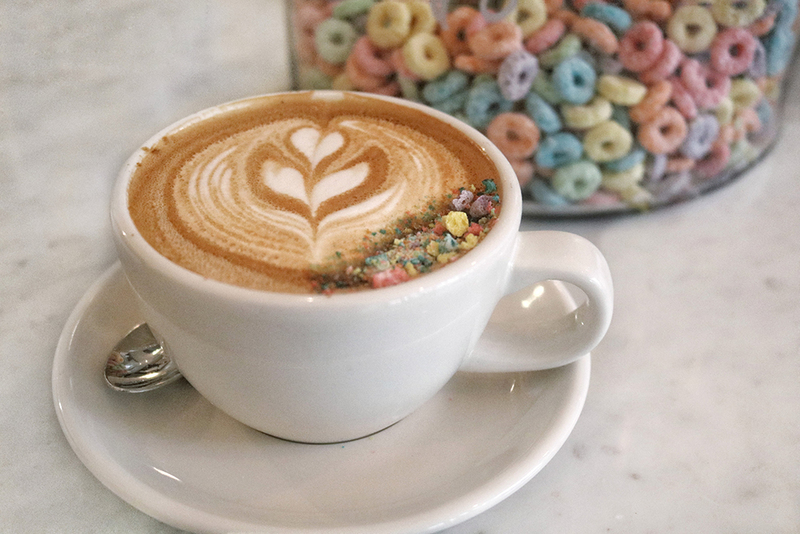 Definitely recommend their Fruit Loop Latte made with cereal milk (think bottom of the bowl). A perfect way to travel back to your childhood in a grownup way. 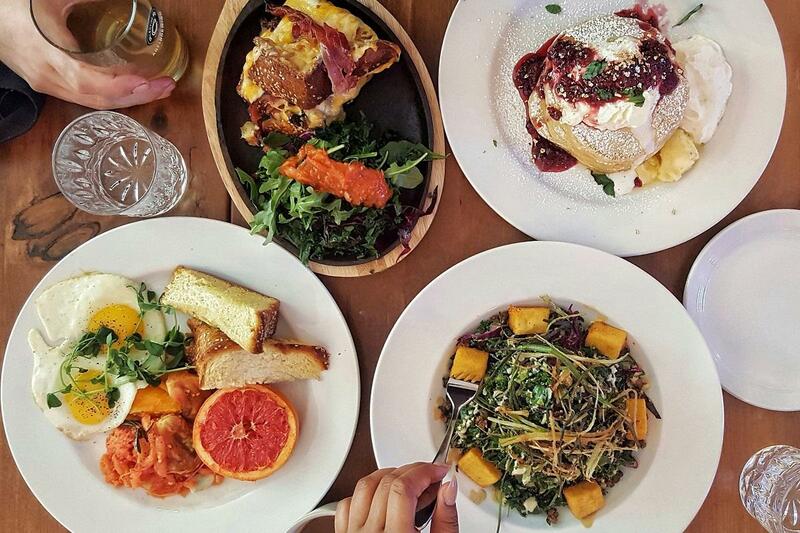 They also have pretty extensive daily menu and a separate brunch menu from Friday to Sunday. Think sweet potato waffles and peanut butter & chocolate french toast sandwich. Good enough reason to get out of bed, right? Patrick Truax, previous executive chef at Hamilton Golf and Country Club and Tim Hortons Field was getting a lot of praise for his burgers. With support from his wife, Jen, a new spin on the ‘mom and pop’ burger restaurant was born. 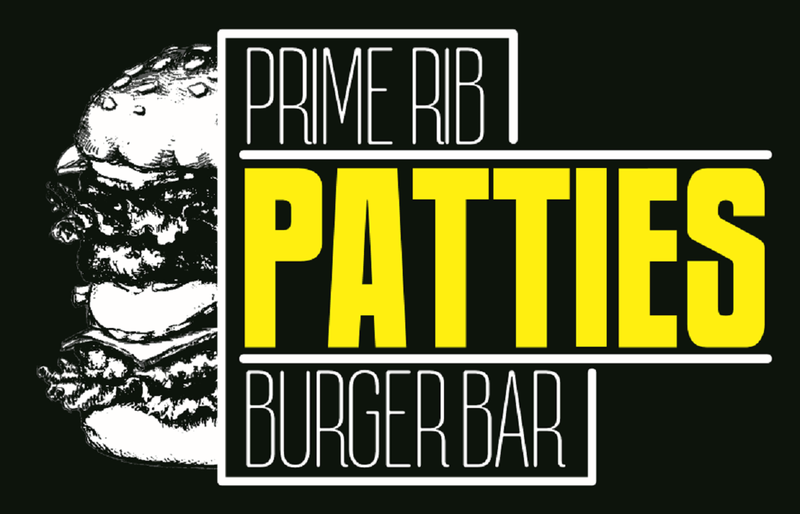 At Patties Burger Bar, it’s all about the patty. They use prime rib and the focus is on quality. 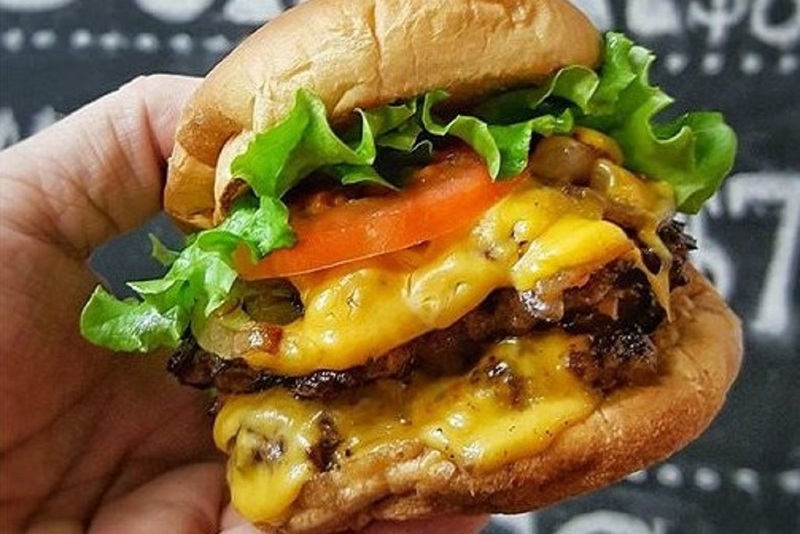 You can get creative and go “off menu” to build your own or try one of their classic burgers, affectionately named after their friends and family. Try the Double Widow Maker if you like a massive burger. But good luck fitting it in a to-go bag. It’s so rare to see Hambrgr on King William Street downtown without a lineup of burger fans. So it’s not surprising they opened another, roomier location on Ottawa Street early this year. 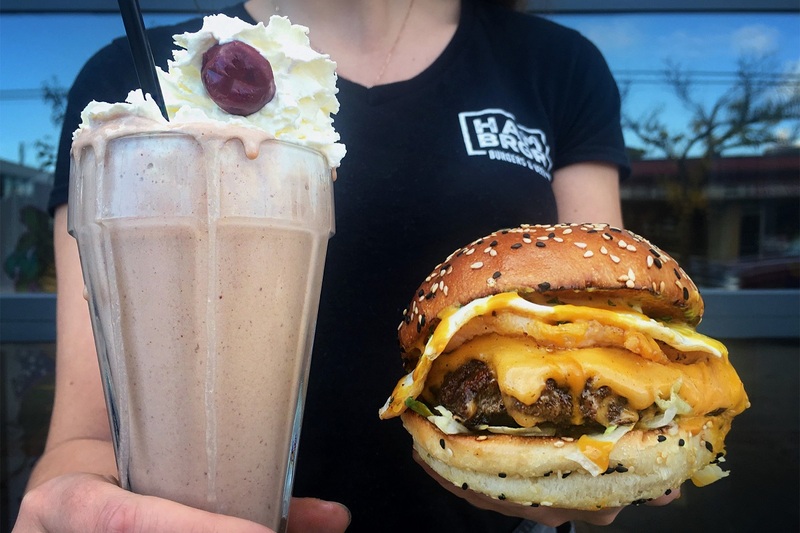 Not only do they have all your favorite burgers on the menu but also the classic and ‘Xtrm’ milkshakes, only available at this new location. Think Devil’s food brownie with a flaming marshmallow on top or a caramel dipped apple on top of an apple pie themed shake! You can also make these boozy for extra $2.50. I say do it for the ‘gram! Owner and executive chef Andrew Haddadin has opened this ‘burger bar with a twist’ on King Street, near Queen Street close to downtown. He incorporates different cuisine styles in his burger ingredients and toppings. Other than the buns (from ACE bakery), everything is fresh, never frozen, and made in-house including sauces. One of his proud creations on the menu is his vegan burger called the Burrito Burger with rice patties, tortilla chips and guacamole. 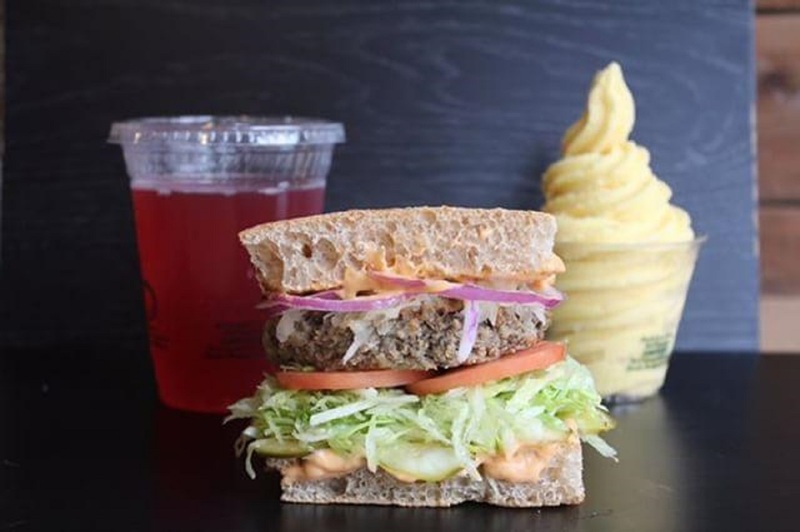 Canada’s first all vegan burger cafe offering a 100% animal-free, plant based menu will be opening their Hamilton location on Ottawa Street. This burger joint is a welcome addition to the city for vegans offering plenty of choices. You’ll have fun choosing from four different patties and over 20 ways to dress up your burger. Boon Burger food is made from scratch and without the use of microwaves or deep fryers with many organic, locally sourced ingredients. So go ahead and enjoy a burger guilt-free. No need to wait for your cheat day. Burger fans rejoice! Delirious Burger has opened a second location on Locke Street South. Their smashed flat top burger is simply addictive, proven by their loyal fan base that frequently visits this hidden gem in Westdale. No freezer means everything in your burger is fresh! Don’t worry if you’re a vegetarian. They have a delicious stuffed Portobello burger that I like to add onto my patty, because I want best of both worlds. There can never be enough donut shops in one city and I will always welcome more. This new donut shop just opened its doors in Greenhill Plaza in the city’s east end. 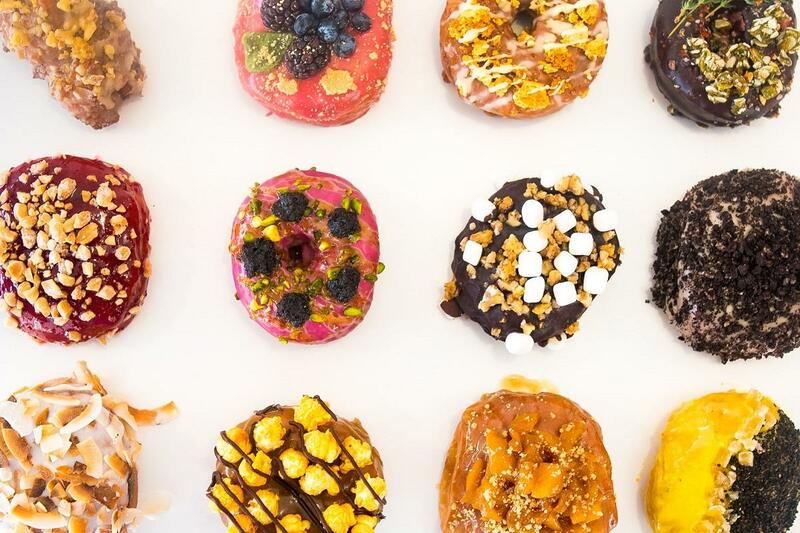 They offer fresh donuts made in-house and 13 flavors to choose from – five of them vegan. Think Nutella Rocky Road and Roma with red wine glaze. They’re open seven days a week, so you don’t have to go a day without a donut. 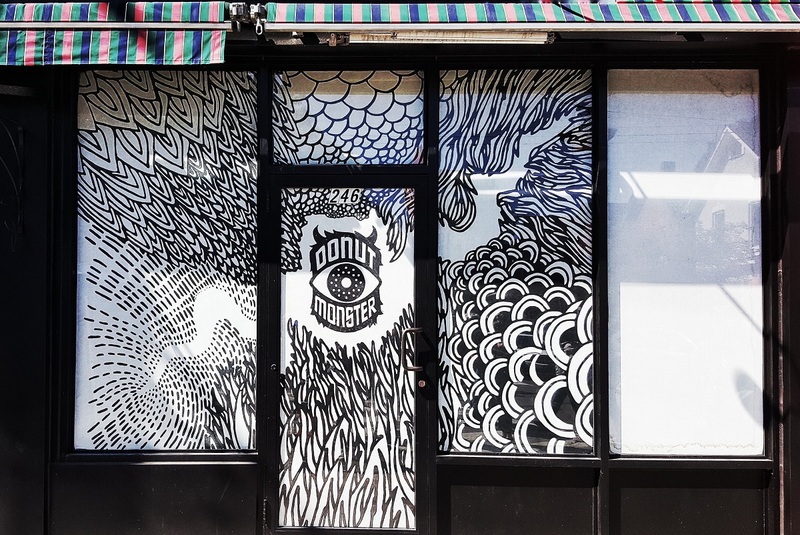 After supplying scrumptious, hugely popular donughts to retailers across Hamilton, Donut Monster is finally opening up their own shop on trendy Locke Street. They will have craft focused espresso coffee to go with expanded line of from-scratch donuts, quality milkshakes and few other surprises for their loyal fans. If you are a serious ramen fan, you already know about Kenzo from their seven other locations. 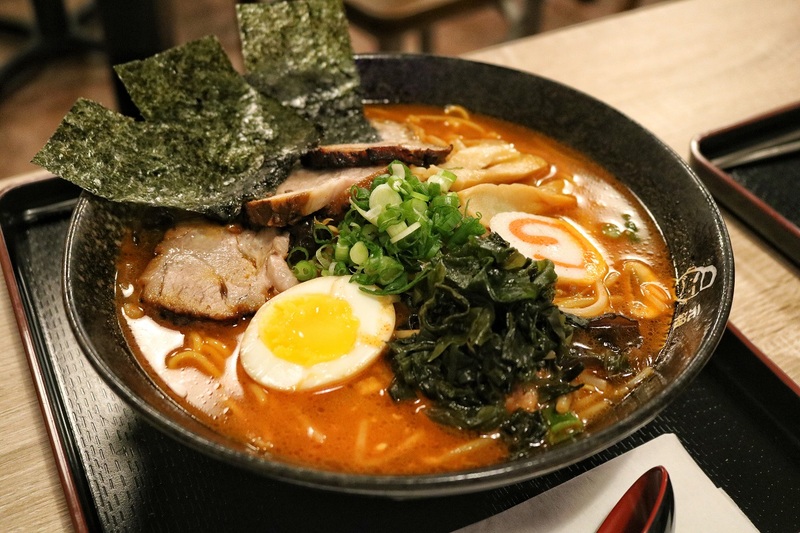 If their new downtown location is anything like their Mississauga restaurant, you can expect long lines, but trust me – their ramen is worth the wait. Their authentic Japanese ramen menu boasts fresh house-made noodles in broth stewed for 24 hours. You can go for basic ramen like Sho-Yu and Miso or go for something fancier like King of Kings if you like spicy broth and extra toppings. 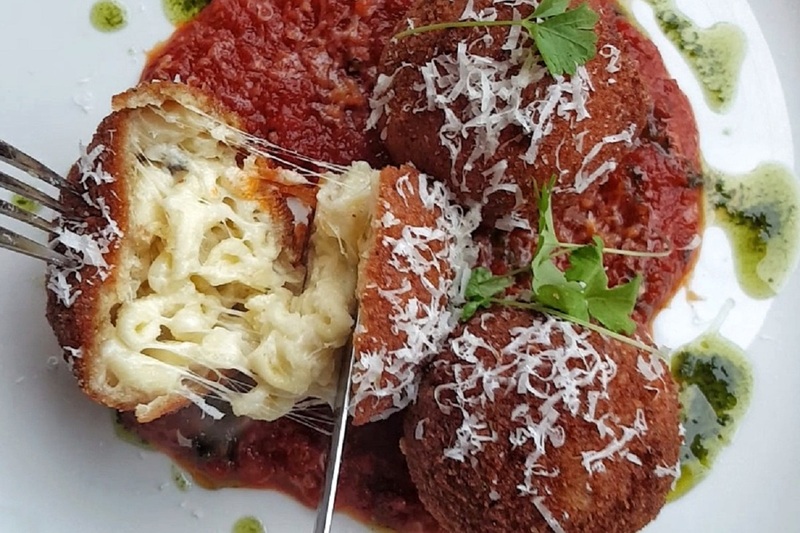 The much anticipated opening of Italian restaurant Cima Enoteca on Locke Street happened in October – and was definitely worth the wait. From the black and white tile spelling ‘CIAO’ on the entrance floor to the classically modern decor accented with rose copper accessories, the restaurant interior is gorgeous. Their menu is equally impressive. With their equipment shipped directly from Italy, including their wood-fire pizza oven, they plan to show you what authentic Italian cuisine really tastes like. At Cima, you can indulge in 11 different styles of pasta made fresh in-house daily and authentic, traditional Neapolitan style pizzas. Don’t miss antipasti highlights like Anchovies and Strozza Fritti! 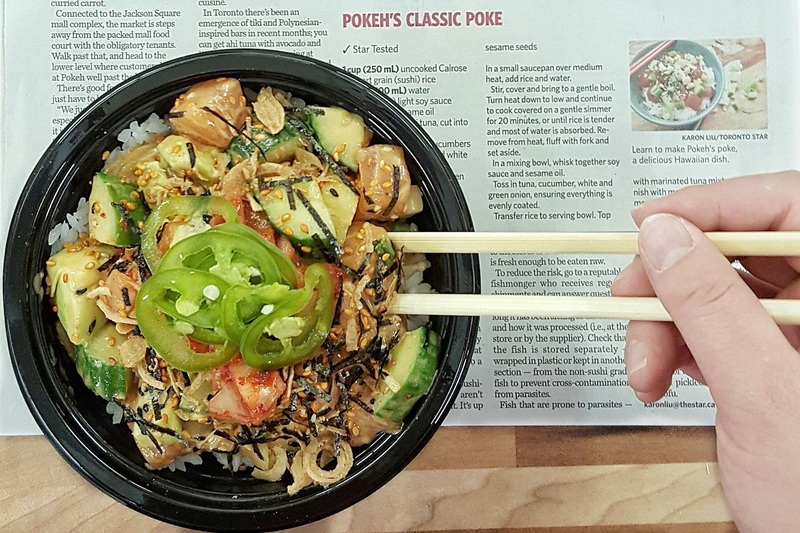 Canada’s very first, and in my opinion the best, Poke bar opened in the Hamilton Farmers’ Market downtown in 2015. The lunch counter’s huge popularity led owner Salar Madadi to open a second location on Concession Street ‘uptown’ on the mountain (or Hamilton’s escarpment). What’s great about it? They’ve got the same Hawaiian inspired fresh raw fish-on-rice bowls but now with longer hours. Pokeh Uptown is open Monday to Saturday so you can Now you can have it whenever you crave it. If you are not a picky eater, ask for the “Kitchen Sink” – a little bit of everything. This chef driven restaurant in Dundas serves you dishes inspired by their own garden and local farmer’s market. They have an open kitchen where you can sit at the Chef’s table and get a full view of the kitchen and cooking. They make it easy for you to add vegetables in your diet by offering delicious options – try their Crispy Green Bean. 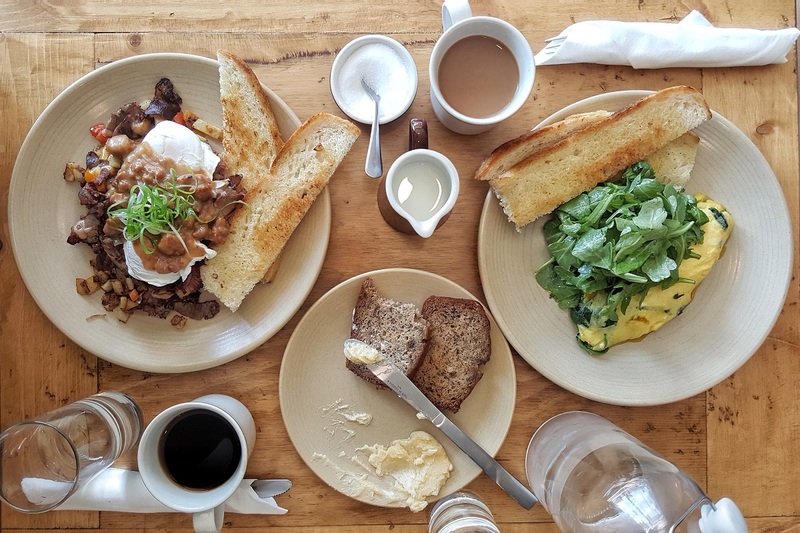 They open early on Sundays for brunch service, which is perfect to stop by before/after your hike to Dundas peak nearby. Where’s your brunch squad at? 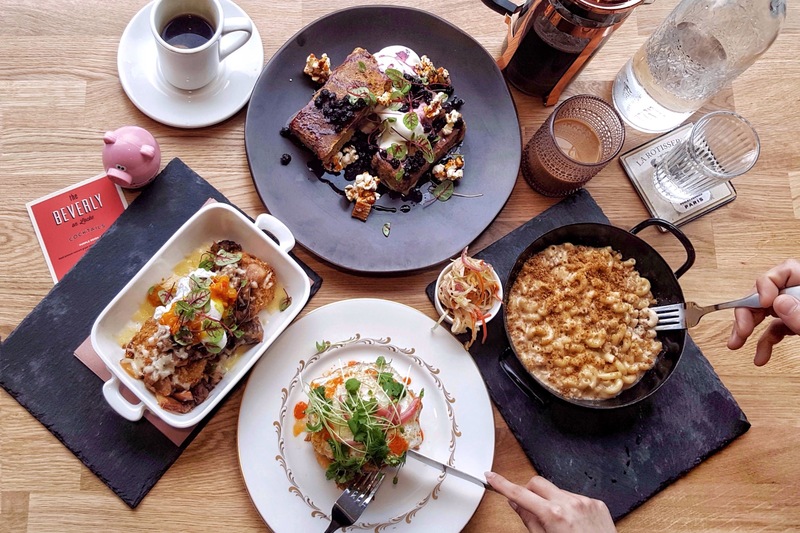 If you are looking for an all-day brunch-style breakfast during the week, you’ve got a great new option on beautiful Locke Street South. The menu changes regularly but current items include PB & J Big Pancake and Asian Fried Egg, served with crab fried rice. It might be a bit chilly now for their beautiful courtyard patio out back, but put it on the list for next summer! This new restaurant with a Miami aesthetic on Barton Street East from the owners of the School restaurant in Toronto has quickly gained fame for their colourful decorations and fun flare with their pink wall and neon signs. Their upscale menu includes champagne pancakes with gold flakes and mimosas with exciting flavors of fresh seasonal juices. And great news for those unable to make it out for brunch: Motel is now serving dinner too! Check with restaurant for hours. Owner Cory Tower, jumped on the opportunity to grow along with the quickly developing Ottawa Street, known as Hamilton’s fabric district, when he took over the building at Main Street. The concept of his new restaurant is a casual approach to Italian dining and it came from his passion for pizza, pasta and warm, sincere hospitality. 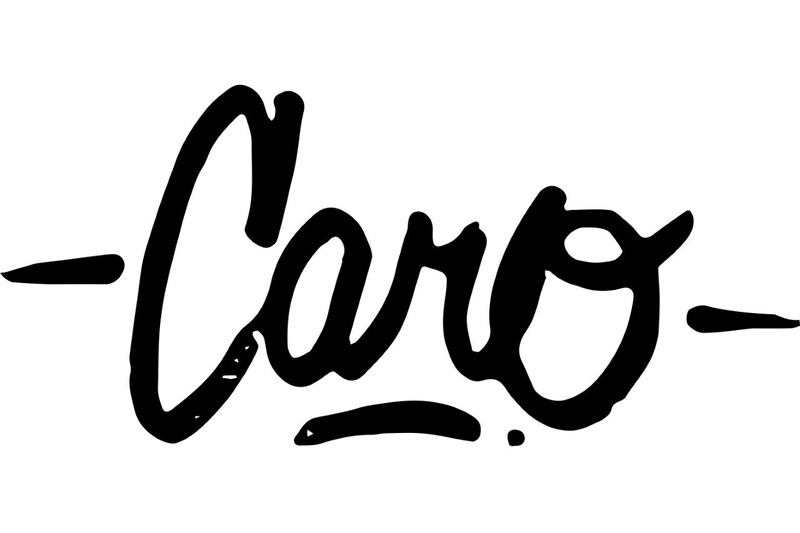 Caro will aim to make customers feel like they’re stopping in at a neighbor’s and to create an incredible work environment for its employees. They’ll also be challenging themselves to making an outstanding gluten free pizza. Equal Parts Hospitality – the group behind hugely successful restaurants Aberdeen Tavern and The French among others – have completely renovated what used to be the Baltimore House for this new, exciting venture. The Diplomat will be a casual global eatery, celebrating food, culture, and art in a city that inspires so much of it. It will have a capacity of over 200 including a patio, seafood bar, lounge, “living rooms” which will function as semi-private group spaces and a gorgeous open kitchen. The space will transform to meet the needs of any group type or size including corporate, cultural and social events and serve up a great menu alongside specialty cocktails. *Takeover alert! 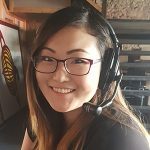 For an up-close look at some of @TasteHamOnt’s favourite new Hamilton eateries, be sure to follow @TourismHamilton on Instagram Thursdays, starting Nov. 16.